Since 1990, our team has studied the development of infants and young children. Our research examines how babies reason and learn about their physical worlds (such as objects in their environment) and their social worlds (such as the people they interact with). None of this would be possible without the help of parents like you who generously volunteer their time to participate! 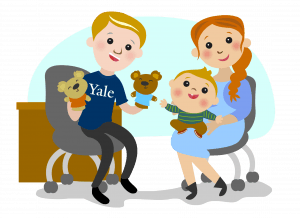 We currently have several studies designed for different age groups, for babies, toddlers, and preschool age children ranging from 6 months to 4 years old. Our studies are designed to be fun for your children, and they are absolutely risk-free. Visits last about 30 minutes, with time included to explain the study to parents and to accustom children to their new environment. Babies watch either short puppet shows, games, or videos involving objects or people. We simply monitor babies’ natural responses to these events. Through these studies, we are able to better understand the knowledge and abilities of infants. We schedule appointments for a time that is convenient for you. We also provide free parking and free in-center babysitting for any brothers and sisters! Want to learn more? Visit the Our Studies section for descriptions of some of the studies we’re doing in the lab right now. This section also has links to some of our stimuli. 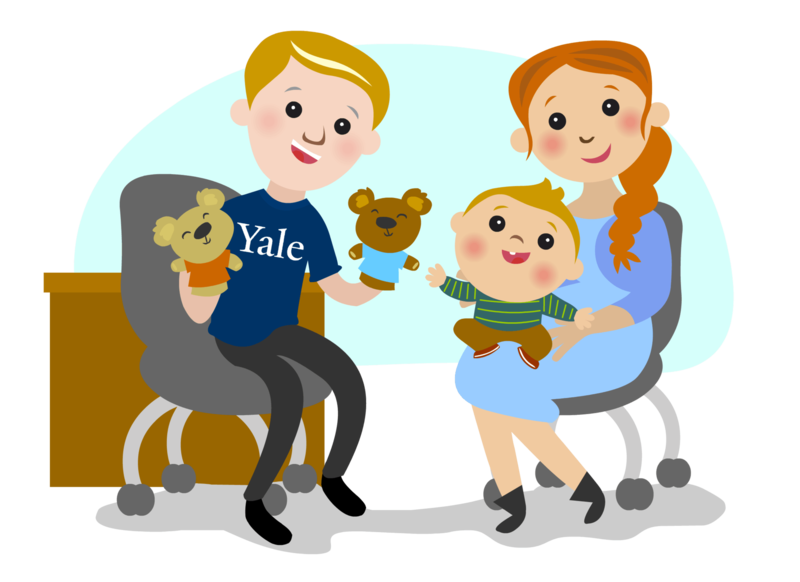 Feel free to call the lab at 203-436-1415 for more information, or email us at yalebaby@yale.edu. We hope to hear from you!! !